I really have had it with winter. It’s constantly freezing outside and I have slipped on ice and fallen on my face more times than I would like to admit. 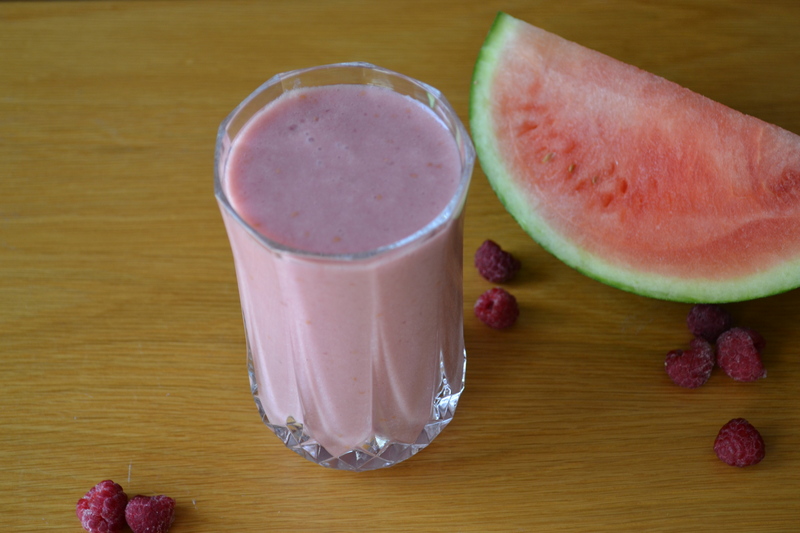 In an attempt to remind me of the good days of spring and summer, I concocted this delicious smoothie! 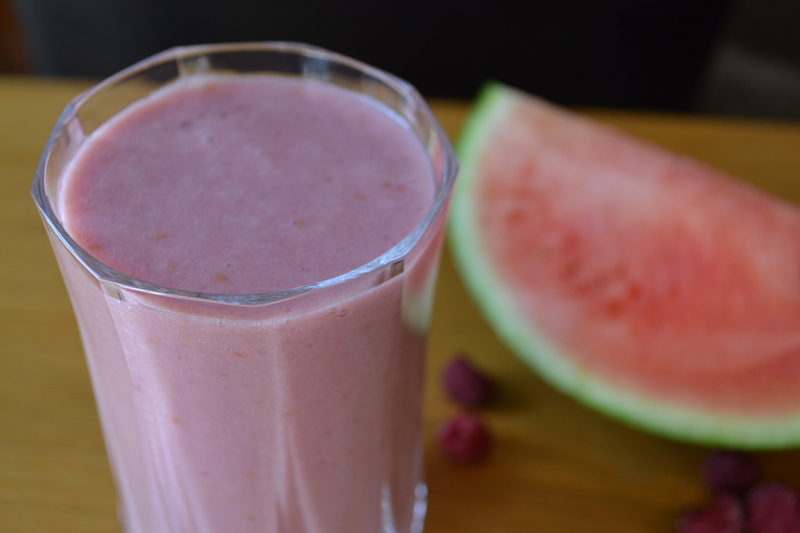 Fruity and healthy, this smoothie really made a gross winter day a little brighter. 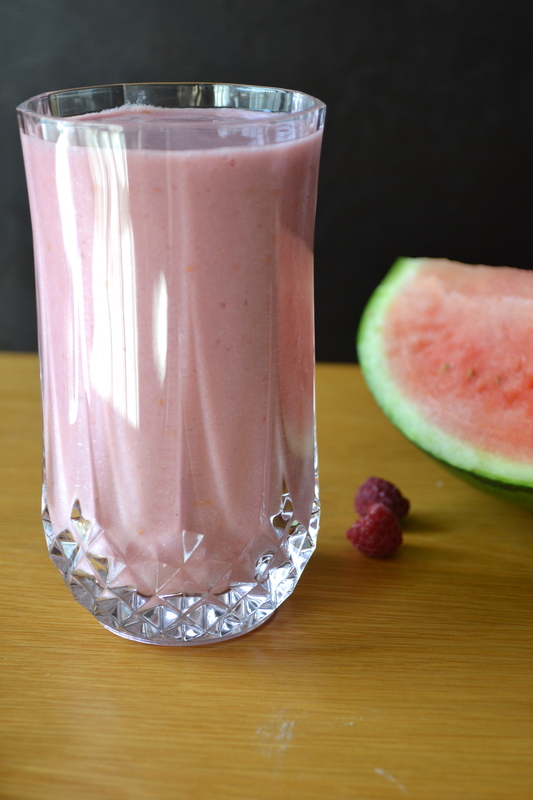 Throw all the ingredients in a blender and blend until smooth. Here is to hoping that the weather improves soon! 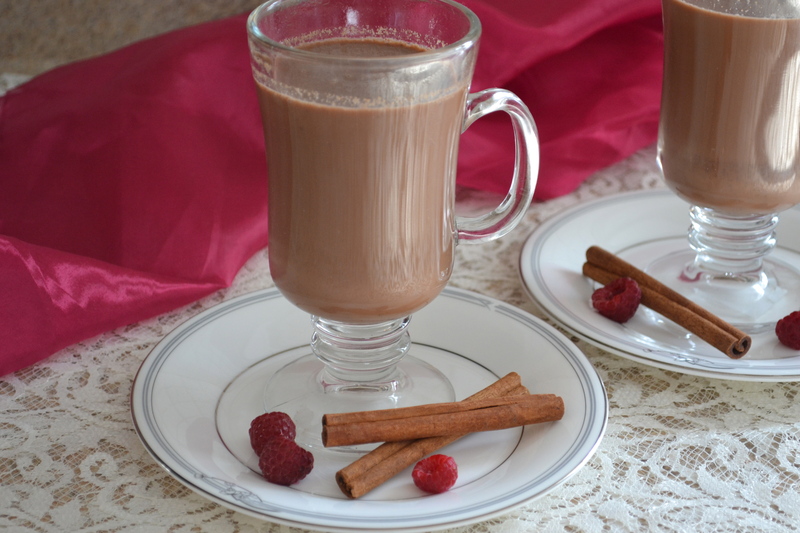 Hot Chocolate is delicious but Raspberry Hot Chocolate? Even more amazing! 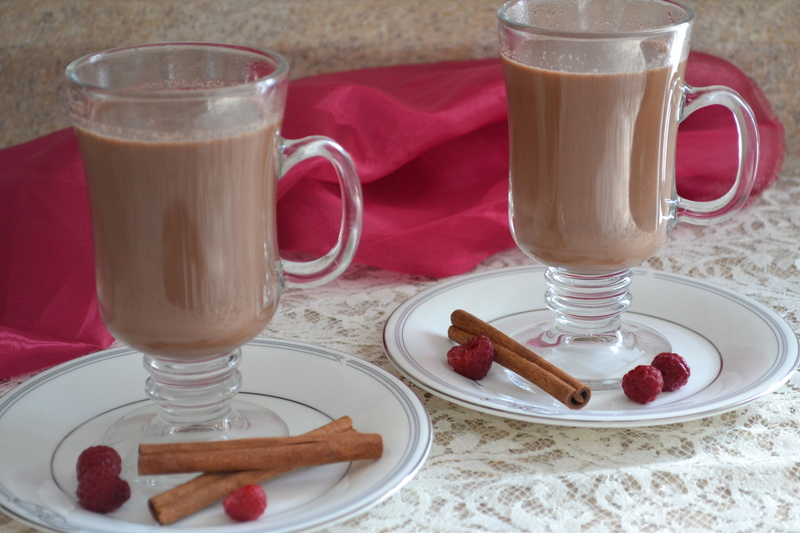 This drink is luxurious, rich and sweet—the best combination! First, start by making the syrup. Add the sugar, water and raspberries in a small saucepan and heat on high heat. Stir occasionally until all the sugar has dissolved. When sugar has fully dissolved, reduce heat to low and allow it to simmer for 12-15 minutes. Remove from heat and strain the syrup through a fine mesh strainer to ensure all the chunks of raspberry are left out of the syrup. Pour syrup into a small container and set aside. 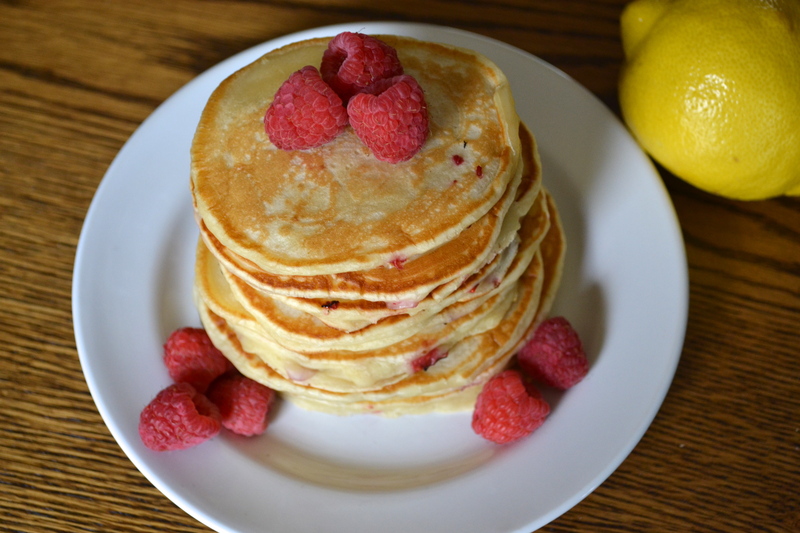 This recipe should make about 1 cup of raspberry syrup and be stored in the fridge for a week or two. 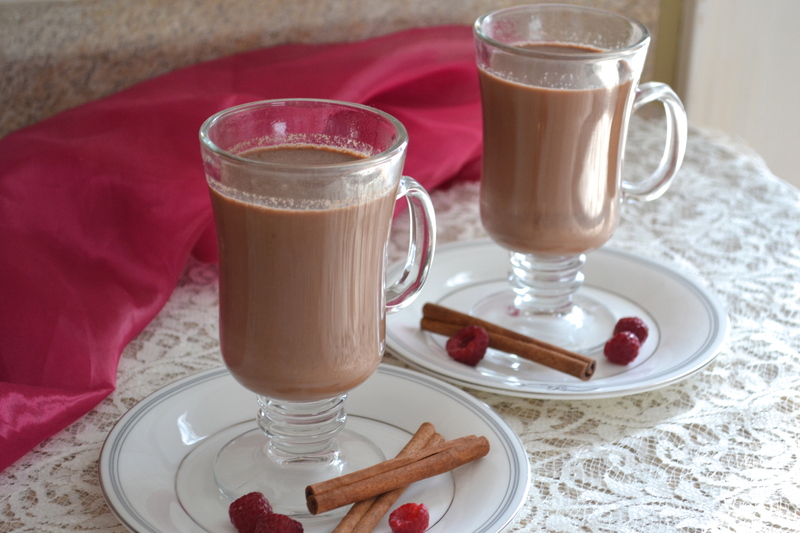 Next, start on the hot chocolate by adding the almond milk, cocoa powder, sea salt, vanilla extract, agave, cinnamon and nutmeg in a saucepan and cooking on medium-high heat, stirring every so often. 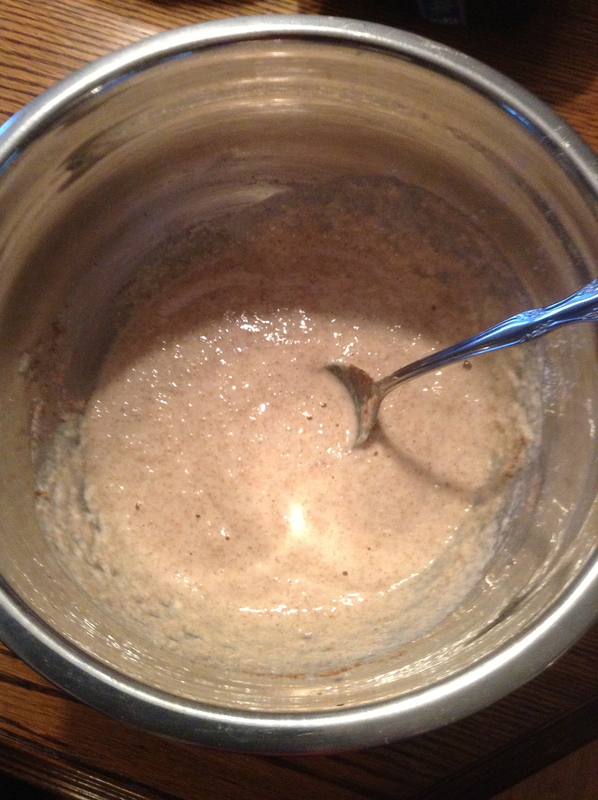 When the mixture begins to bubble a bit (about 10-12 minutes) and mixture is fully combined, remove from heat. 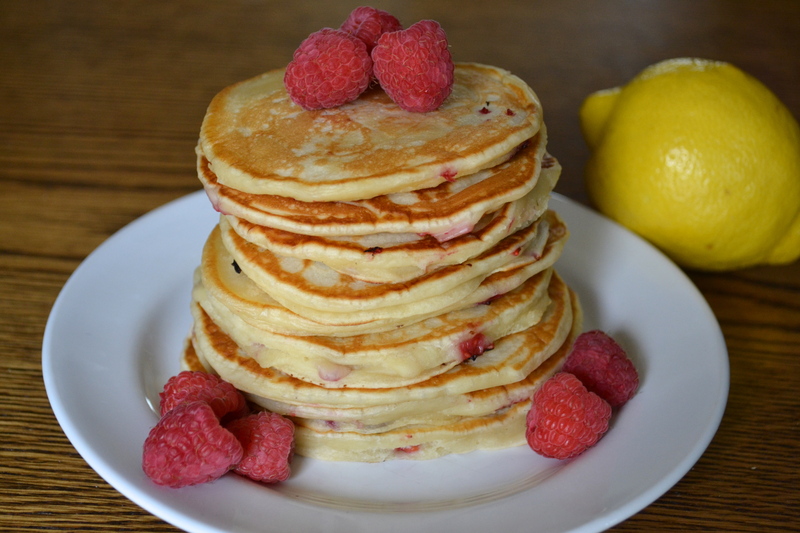 Add 3-4 tbsp of the raspberry syrup to each cup. 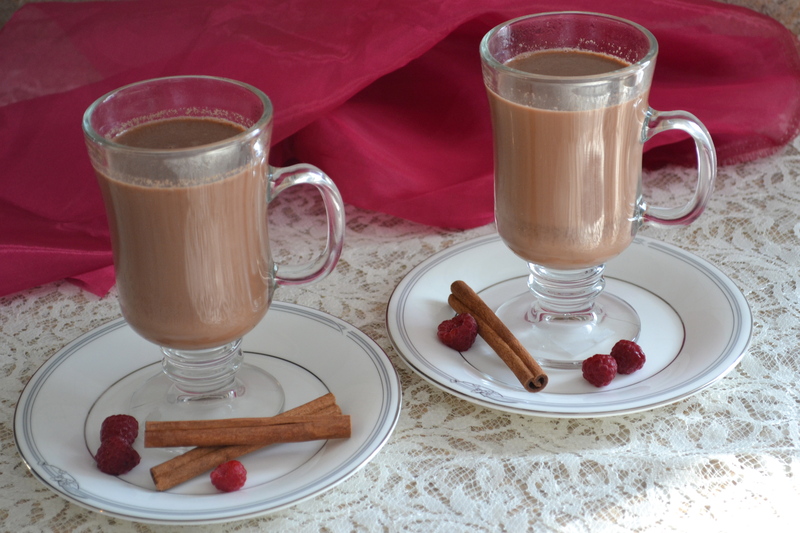 Fill the rest of the cup with hot chocolate and mix. 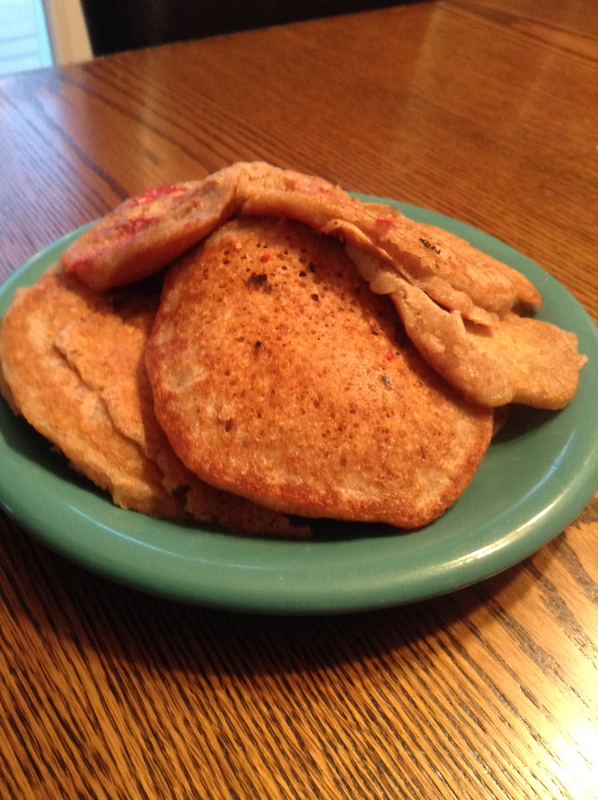 I love easy recipes; especially the ones that require only a couple of ingredients and can be made quickly. Even better is when that recipe is healthy. 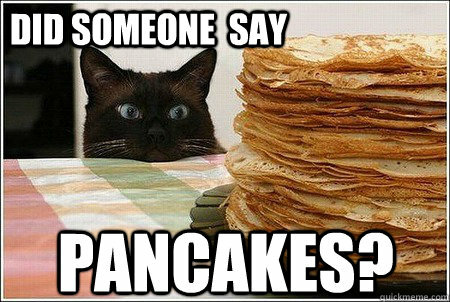 As I pointed out previously, I have a deep, profound love for pancakes. 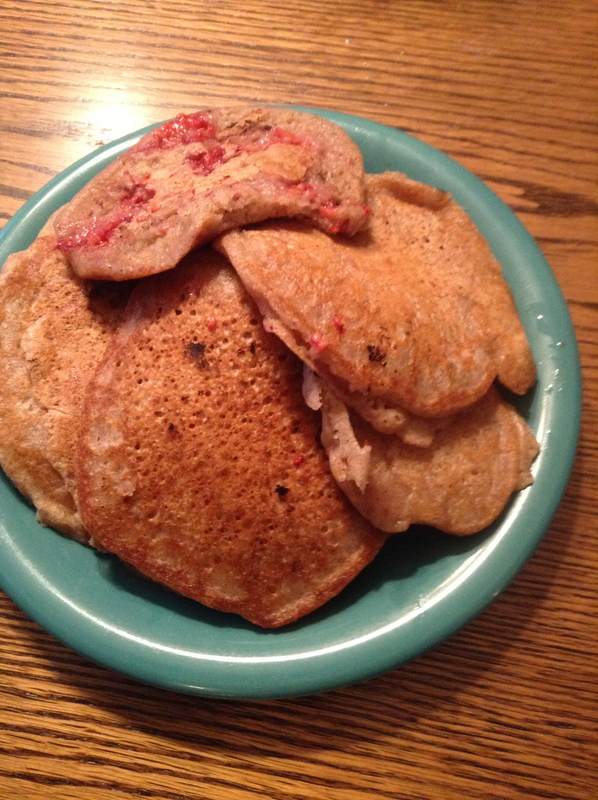 So when I discover a simple and healthy pancake recipe, I get very excited. 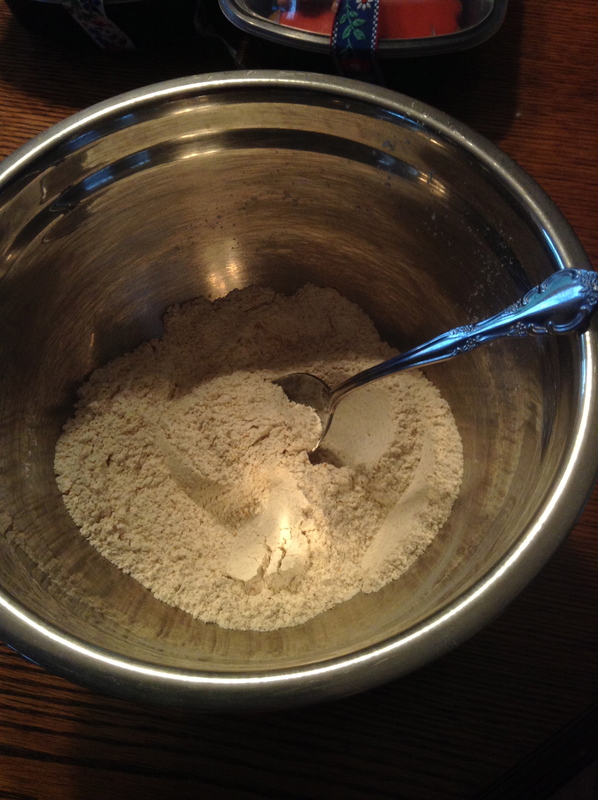 Combine the dry ingredients in a small/medium sized bowl. Once together, wet ingredients and mix until combined. 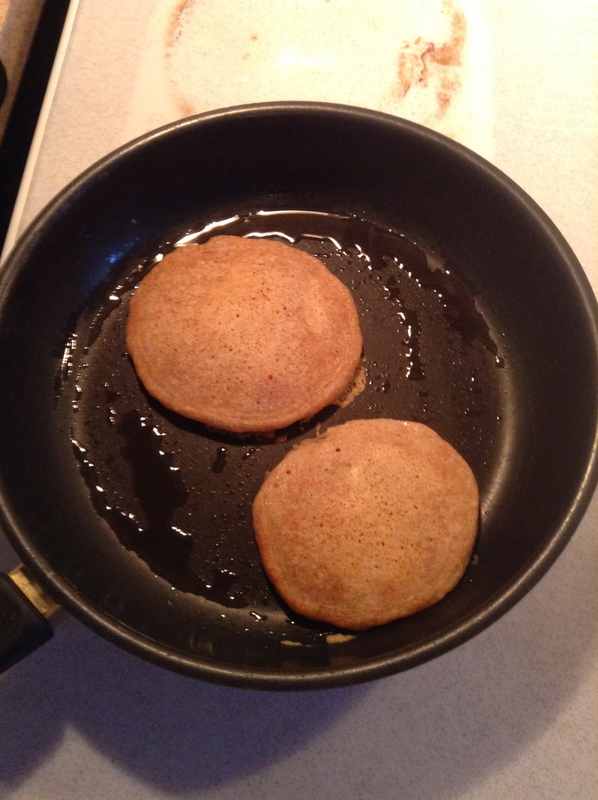 Heat up a pan on low/medium heat and coat the pan with butter, cooking spray, or as I used, coconut oil. It is all personal preference! 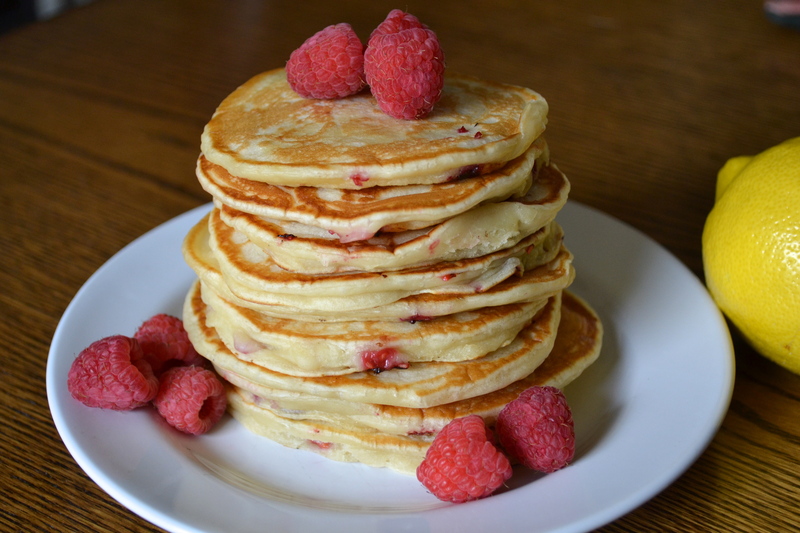 Pour batter onto the pan. 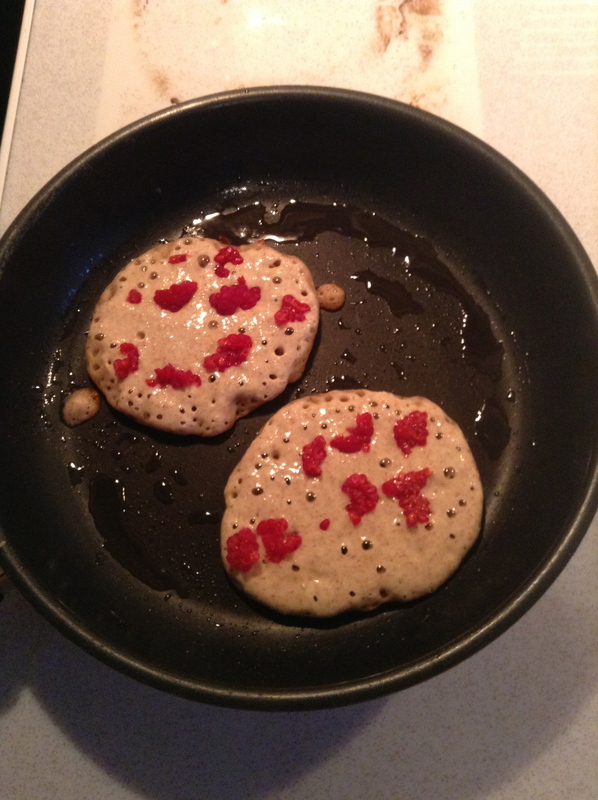 Once on the pan, break up the raspberries into smaller pieces and sprinkle on the pancake while it is cooking. Cook on each side for 2-4 minutes, or until lightly browned. 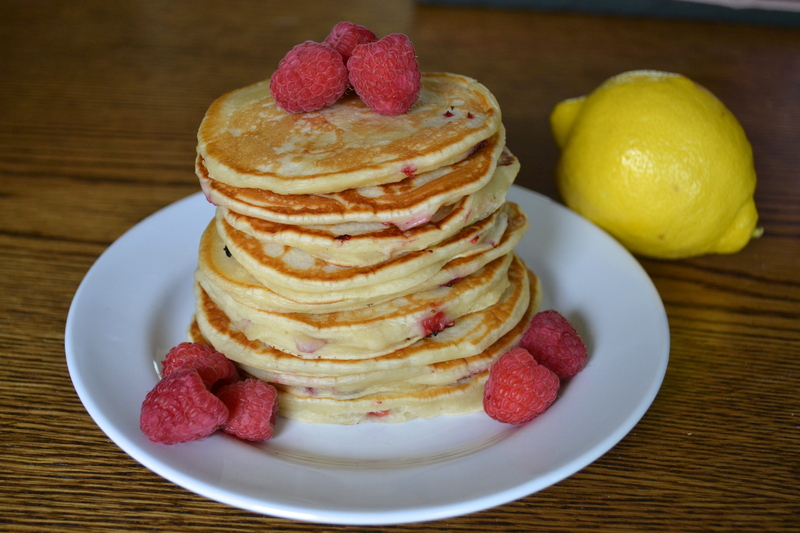 Once cooked add your favourite toppings and enjoy! I went plain this time around but feel free to get creative.